The UCSC Arboretum's summer concert series continues with legendary folksinger Bruce "Utah" Phillips on Thursday, June 21. The concert begins at 6:30 p.m. in the Dean McHenry Amphitheater. 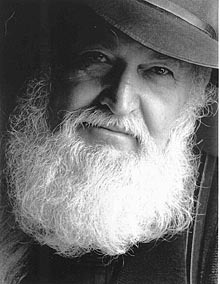 Utah Phillips is more than a musician; he is a storyteller, poet, and labor organizer. A mentor to Kate Wolf, he recorded songs and stories with Rosalie Sorrels, and collaborated and recorded with Ani Difranco. Phillips has become an elder statesman for the folk music community, and a keeper of stories and songs that might otherwise have passed into obscurity. Parking for the concert opens at 5:30 p.m. and is in the Eucalyptus Grove, just south of the main entrance to the Arboretum. Tickets are $22 at the gate, $20 in advance and at all times for Arboretum members. Tickets are available at Norrie's at the Arboretum daily, 10 a.m. to 4 p.m., and at Logos Books in downtown Santa Cruz, 10 a.m. to 10 p.m.
For more information, call (831) 427-2998.